If you have a desk job by day and love fashion then your more then more then not you're like me and find yourself drooling over J.Crew catalogs. 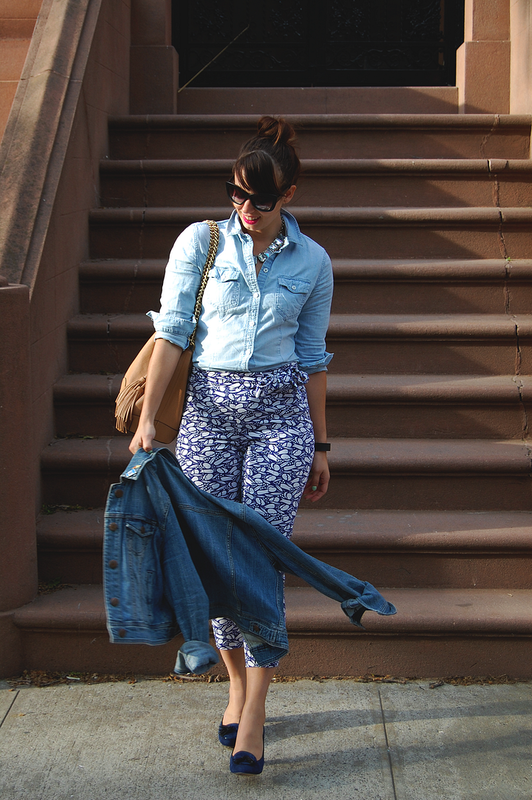 There's something about the easy of J.Crew and the grown-up-ness of it that I just love. Sometimes when I put on "work professional" clothes I feel like I'm playing dress up...and not myself. I love that J.Crew has that grown-up feel without taking out my personal style. The style of J.Crew is pretty easy to emulate without having to spend the big bucks on their pieces. Some items you might even have in your closet! 1. Chambray Shirt. To complete a Spring/Summer look you need a chambray shirt and no one does these looks better then J.Crew. These tops are perfect to go from weekday (pair of slacks, printed skirts, or pants) to weekend (pair of jeans or cutoffs). Shop the tops: here, here, here, and here. 2. Printed Bottom. Who says work clothes have to be boring? 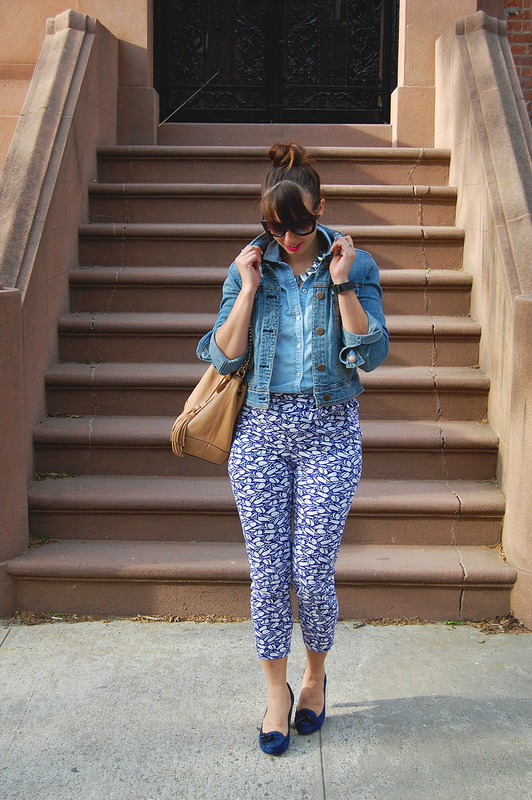 This Spring opt for a printed pants. These can be dressed up with a crisp white shirt, blazer and a pair of pumps. 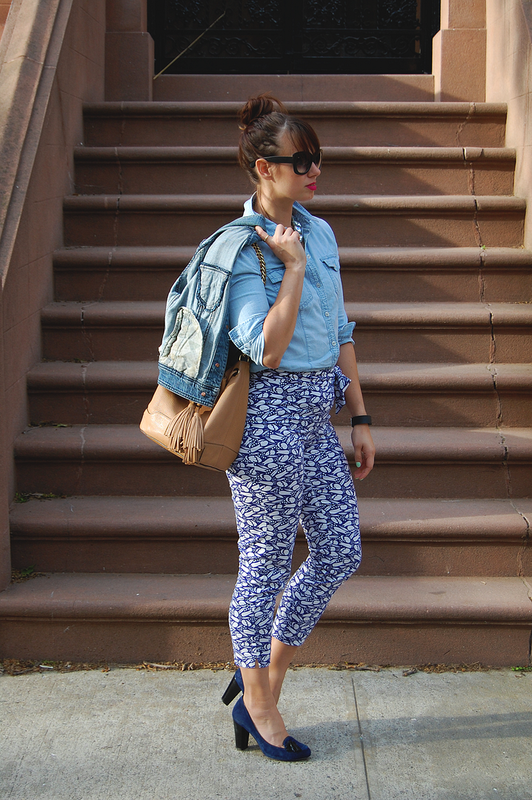 For a more casual style opt to pair it with heels and a chambray or linen button down. 3. The J.Crew Sleeve Roll. 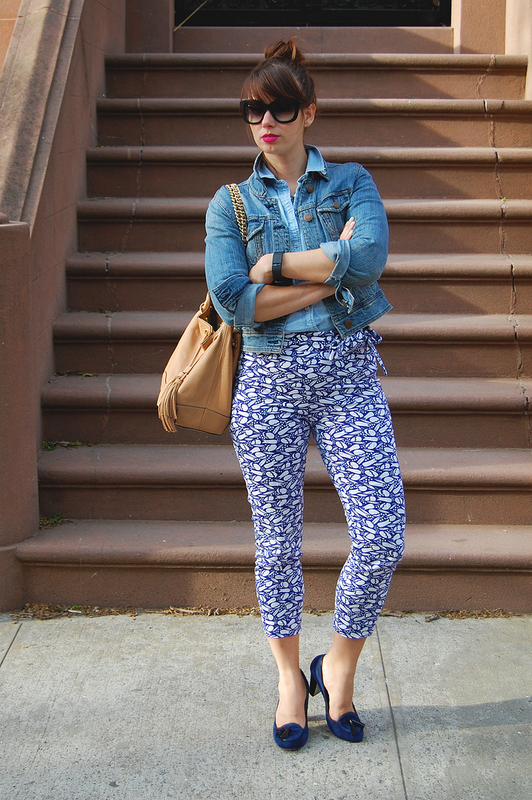 This look can not be complete without the J.Crew Sleeve Roll. You can read how to do it over on WhoWhatWear. 4. Statement Necklace. 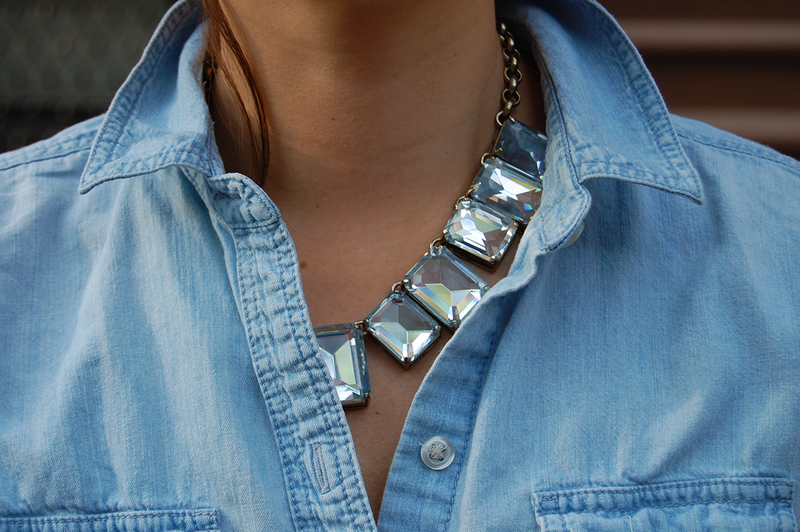 Topping off a look with a statement necklace can really complete the whole look. 5. Up-Dos. If you ever flip through a J.Crew catalogue or through their site lots of the their editorial looks are polished off with up dos...from pony-tails to top-knots.